Enjoy freedom from embarrassing underarm sweat. Are you bothered by your underarm sweat? Do you frequently apply antiperspirant? Are you frustrated over constantly ruining clothes? Are you worried about underarm sweat outbreaks? The miraDry procedure is quick and non-invasive. The miraDry System delivers precisely controlled energy to the region where the underarm sweat glands reside and eliminates the sweat glands non-invasively. Because the sweat glands do not come back or regenerate after treatment, the results are lasting. And, results are fast – you can expect to see sweat reduction immediately after treatment, with minimal to no downtime. Dramatic sweat reduction without the use of harsh chemicals, toxins or surgery. 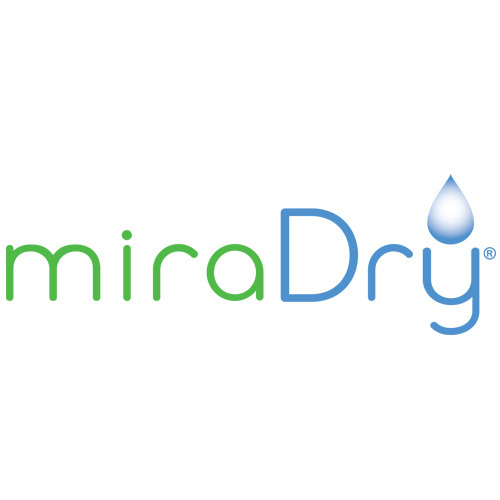 The miraDry procedure uses the only non-invasive technology that is FDA cleared and clinically proven to dramatically reduce sweat and provide lasting results. Now there is a lasting solution to sweat control that doesn’t use harsh chemicals, toxins or surgery. What is the miraDry® procedure? The miraDry procedure is quick, non-invasive and provides a lasting solution for excessive underarm sweat. The handpiece from the miraDry System, when placed on the underarm, delivers precisely controlled energy to the region where the sweat glands reside and eliminate sweat glands non-invasively. The sweat glands don’t grow back once eliminated, resulting in a dramatic and lasting reduction of underarm sweat. The procedure involves no surgical incisions or cuts. The clinician customizes treatment for each underarm area with multiple placements of the miraDry handpiece. Local anesthesia is administered to the underarms prior to the procedure to maintain comfort. Your office visit appointment will generally last about an hour. Two procedures spaced three months apart are required to maximize the results and duration. There is minimal to no downtime following the procedure. Your doctor will likely recommend a mild over-the-counter pain medication and use of ice packs for a few days. You should be able to return to normal activities or work right after the procedure, and you can typically resume exercise within several days. Some localized soreness or swelling is normal, and typically clears within a few weeks. Some patients have short-term altered sensation in the skin of their underarms or upper arms, which gradually disappears. Your body contains over 4 million sweat glands, with only about 2% located in the underarms. Eliminating this 2% will not affect the body’s ability to cool itself. Other treatment options are designed to temporarily disable the sweat glands, or involve surgery which contains inherent risks. 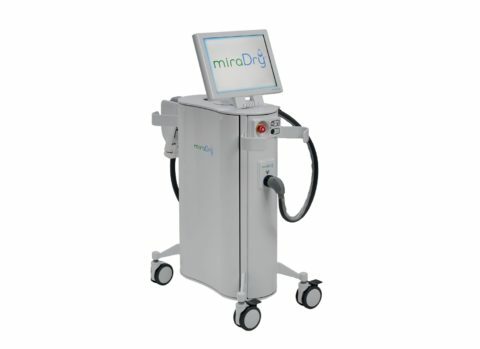 Only the miraDry procedure provides a lasting solution with a non-invasive treatment. If embarrassing underarm sweat outbreaks, stained clothing or frequent antiperspirant application interfere with your daily life, then you may be a good candidate for the miraDry procedure.